A reader called Sean sent this one to me yesterday. It seems that although we thought ourselves permanent, we are not. Although we thought ourselves settled, we are not. Although we thought we would last forever, we will not. He’d seen Jack Konfield attributing it to the Buddha, and wondered if it was Jack’s own paraphrasing of some statement on the three lakkhanas (Pali) or lakshanas (Sanskrit). These are statements that say that anything that’s fabricated is impermanent and unable to give lasting peace and happiness, and that all things whatsoever are not oneself. As it happens however, this is canonical. It’s found in the Anguttara Nikaya, which is the Numerical Sayings of the Buddha. It’s from the Sīha Sutta (Discourse on the Lion). It seems that we are actually impermanent, though we thought ourselves permanent; it seems that we are actually transient, though we thought ourselves everlasting; it seems that we are actually non-eternal, though we thought ourselves eternal. That’s how powerful is the Realized One in the world with its gods, how illustrious and mighty. So this one is verified as been scriptural. I like this sutta because it applies the formula most often associated with the four noble truths to the question of identity-view — the concept that we have some kind of metaphysical self. There is a delusion of self, there are causes for that, there is a cessation of that delusion, and there’s a path leading to that cessation. I think that people in the West don’t ask questions about whether or not a teaching was taught by the Buddha or has references in the teachings of the ancient valid pandits and yogis. For them it doesn’t seem important to check the references. When Western people listen to Dharma, they’re happy if it’s something that is immediately beneficial to their life, to their mind, especially if it’s related to their problems. It doesn’t matter whether it is something that Buddha taught or a demon taught. They don’t question or check. For them it is about getting some immediate benefit to their mind when they listen; they will then stay. Otherwise, after a few minutes they leave, especially during my talks. 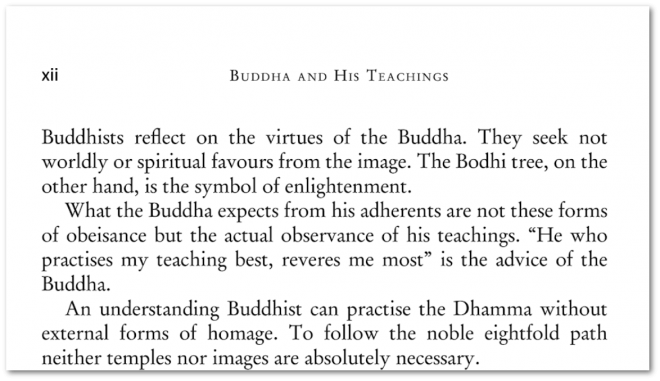 But generally speaking, in the East, people are more careful to examine whether something was taught by Buddha. They check the references so that they can see whether or not they can trust the practice, whether or not they can dedicate their life to this. They think about the long run, which is very important. In the West, the main concern is to immediately, right now, taste something sweet. Without approval and without scorn, but carefully studying the sentences word by word, one should trace them in the Discourses and verify them by the Discipline. If they are neither traceable in the Discourses nor verifiable by the Discipline, one must conclude thus: ‘Certainly, this is not the Blessed One’s utterance; this has been misunderstood by that bhikkhu — or by that community, or by those elders, or by that elder.’ In that way, bhikkhus, you should reject it. 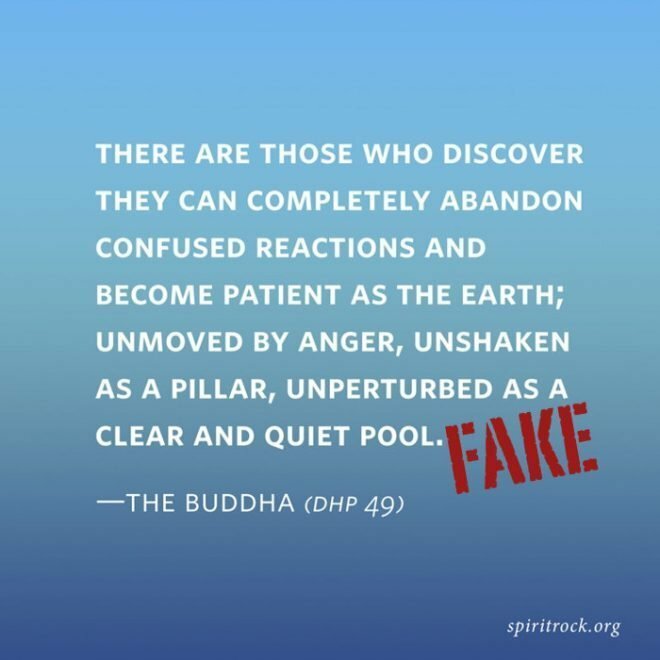 I was asked about this one earlier today, after a reader spotted it on the Facebook feed of Spirit Rock retreat center, who seem to have created a graphic of it (which has since been deleted, although I managed to retrieve it from my browser cache) attributing the quote to the Buddha, and giving Dhammapada verse 49 as the source. Obviously the person who asked me about it was suspicious. I was too, at least about parts of it. First, though, the attribution given is clearly wrong. Dhammapada verse 49 is about monks going from village to village as bees go from flower to flower. On hearing the Teachings, the wise become perfectly purified, like a lake deep, clear and still. My guess was that the quote in question was more likely to be a paraphrase or adaptation of these, or some other verse or verses, from the Dhammapada. The title suggests that Munindo was aiming to produce an adaptation rather than a translation: a text that is more relatable than the more literal versions. Munido renders this as “confused reactions,” which are of course to be abandoned. This a good way to shift our attention to the present-moment experience of the mind , and from the concept of rebirth (which is not here and not now). It’s worth pointing out that samsara is right here and right now, and that on a psychological scale it does involve the process of confused grasping and aversion, or “reacting,” in modern parlance. In terms of practice and reflection Munido’s framing of samsara is useful. It’s more an interpretation than a translation, though. Of course all translation involves interpretation to a degree, especially when it comes to terms like samsara, which are not part of the reader’s cultural frame of reference. Since this quote also takes great liberties with the overall structure and style of the Dhammapada verse, I have to say it doesn’t do a good job as a literal translation, although of course that a literal translation wasn’t Munindo’s intent. So I’m categorizing this as “fakish” rather than fake or genuine. This version of Dhammapada verse 95 is so different from the original that I really think it should be credited to Ajahn Munindo and not the Buddha. Stephen Feldman, one of my connections on Google Plus (the world’s best social media site, which Google is unfortunately pulling the plug on) brought this one to my attention. It’s one I’d never seen before. It often surprises me the things that people take to be quotes from the Buddha. Then I remember that if you’ve no experience of the Buddhist scriptures then you’ve no idea of the patterns and language that the Buddha’s recorded as having used. Of course those records may be wrong. They probably are. But they’re all we have to go on. And if you’ve never read them you’ve no way of telling whether something is likely to be fake or not. Not all of “Keep your heart free from hate, your mind from worry. Live simply, give much. Fill your life with love. Do as you would be done by” is entirely different from the kind of thing you find in the early scriptures, but much of it is. I could imagine a short pithy statement like “Keep your heart free from hate” in a text like the Dhammapada. But “Fill your life with love” is far too contemporary and “Do as you would be done by” resembles the Christian scriptures much more than it does the Buddhist ones. It’s instead from a 1904 book, “The Culture of Simplicity,” by Malcolm James McLeod, who was a Canadian presbyterian minister, educated at Dalhousie University in Nova Scotia and Princeton University in New Jersey. He appears to have been a damned handsome fellow, no doubt a result of his Scottish ancestry. McLeod was inspired to write his book as a result of reading “The Simple Life” by the Rev. 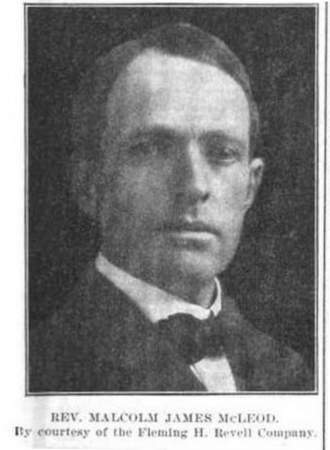 Charles Wagner of Paris. “Simplicity is spirituality; simplicity is power,” he says in the introduction. McLeod’s quote is full of imperatives, and that’s one reason it would stands out as probably not being from the Buddhist scriptures. Train in acts of merit that bring long-lasting bliss — develop giving, a life in tune, a mind of good-will. Developing these three things that bring about bliss, the wise reappear in a world of bliss unalloyed. There’s an alternative translation here. 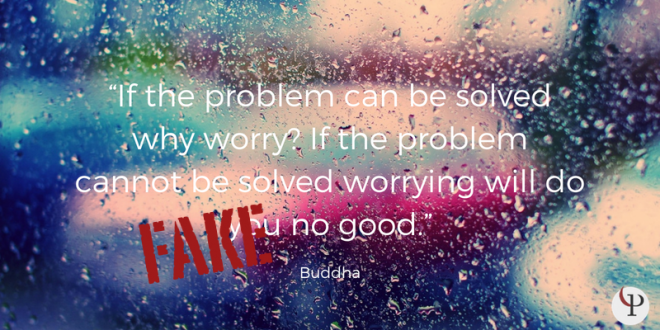 André Olivier found this one as an image in an online comment and sent it to me, saying, “It seems like the strangest example of a fake Buddha quote … It just seems wrong in every way.” He has a good instinct. This is not the kind of thing the Buddha said. He didn’t say there was no god. In the scriptures he’s depicted as talking with gods, although those passages may be intended to be taken humorously. There’s one rather hilarious (by 2,500-year-old standards) passage where a monk is depicted as having worked his way up through all the lesser gods to the Great Brahma himself, asking where the four elements come to an end. Brahma blusters, declaring over and over how he is all-knowing. The monk calls him on his BS, and eventually Brahma takes him to one side, confesses that he doesn’t want the other gods to know that there are things he doesn’t know, and tells the monk to go see the Buddha, who is the only one who can answer his question. He did ridicule the idea of a creator god, depicting Brahma as having deluded himself into thinking he had created the universe and the other gods. I tend to take that as an allegorization of mamankara, or “mine-making” which is the way that part of us deludedly thinks that it owns and is responsible for other parts of us, including our thoughts, feelings, and actions. He criticized the idea that our suffering is due to the actions of gods and said that if this were the case, then god must be evil. He certainly wouldn’t have said that “only this world is true.” He’s depicted as talking about rebirth in other realms, including hells and heavens. The URL in the image doesn’t lead to an existing Facebook page. Possibly at some point the Bharatiya Yukthivadi Sangham organization had one, and it was removed. The Yukthivadi Sangham is a rationalist and humanist organization in India. Bharatiya means “Indian” so I assume that this is a national organization. I’m surprised they don’t have a Facebook page. Or maybe I just failed to find it. 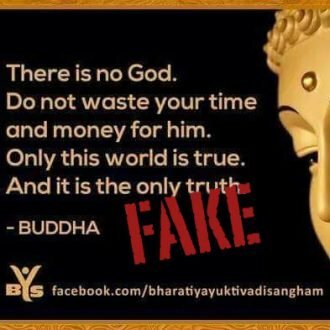 It’s interesting that a rationalist organization is using the Buddha (in the form of a fake quote) to argue against theism. Despite this, I wish them well as they work to combat the influence of religion on Indian politics and society. Believe me, there is no shortage of examples. It’s a bit embarrassing that my own lot are so wedded to this mistranslation. It isn’t entirely unique to Triratna. Lawrence Khantipalo Mills, in his 1983 book, “Pointing to Dhamma,” says, “Having comforted them Lord Buddha uttered his last words, an exhortation to persevere: ‘Listen well, O bhikkhus, I exhort you; Subject to decay are all compounded things: With mindfulness strive on.’ ” But Khantipalo, perhaps uncoincidentally, studied and practiced with Sangharakshita in Kalimpong, India. They may both have picked up this mistranslation from the same source, or Khantipalo may have picked it up from Sangharakshita. 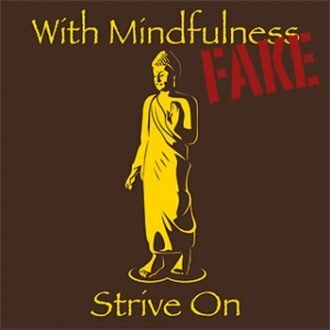 The latter appears to have used “With mindfulness, strive on” as early as 1961, in an essay in Volume 69 of the Maha Bodhi Journal. At least I assume he wrote the article: although I can’t see the whole thing on Google Books, the wording in the essay is identical to that found in a passage in Sangharakshita’s “The Three Jewels,” first published in 1967. Appamāda is the opposite of pamāda, which means heedlessness, carelessness, negligence, or even literal drunkenness. As well as being translated as heedfulness it’s also rendered as diligence, earnestness, and so on. There’s an entire chapter of the Dhammapada on the topic of appamāda, which gives you a sense of the flavor of the term. It’s very much to do with moral restraint and self-control in the face of temptation. The -ena ending indicates the instrumental case — “by means of” — so that the word appamādena means “by means of diligence” or “diligently.” It could also be translated as “with self-control.” There is no one word in English that can adequately translate appamādena. Obviously self-control and mindfulness are related to each other, but they are distinct terms. Mindfulness in Pali is sati, which has the primary meaning of “memory” or “recollection.” The English word “recollected” has both the sense of “remembered” (“I recollected meeting him”) and of mindful presence (“He recollected himself.”) Appamāda is a more dynamic and energetic quality than mindfulness. Mindfulness notices; appamāda (I’m going to call it “self-control”) protects. When Michael O’Connor wrote asking about this one I was stunned to find that I hadn’t already written it up. Perhaps I did: a few years ago the site was badly hacked and I lost a few articles. Anyway, I’ve seen “Chaos is inherent in all compounded things. Strive on with diligence” numerous times over the years. The second part, “Strive on with diligence” is pretty much OK (I realized that I also have to write up the mis-translation “With mindfulness, strive on”). The wording of the first part is very odd. This quote is supposed to be the final words of the Buddha before he died, or had his “parinirvana,” as it’s often called (although, rather ridiculously, it’s often said that he “went to parinirvana,” as if it’s a place you can go to). It purports to come from the Maha-Parinibbana Sutta, “parinibbana” being the Pali equivalent of the Sanskrit parinirvana. As you can see, there’s a lot of variation. Vayadhammā is a compound of vaya and dhammā. Dhamma is an astonishingly broad term, although its many meanings relate to the Sanskrit root dhṛ, which means to support. In this particular context it means something like “nature,” not in the sense of wildlife, but in the sense of having a particular character. The second word in the sentence is saṅkhārā. It too has two parts: saṅ- is a prefix that, like the Latin com- means “together.” The khārā part is related to the verb karoti, which is to make, do, form, or build. So saṅkhārā means “put together” — hence the various translations of “conditioned things,” “compounded things,” “fabrications,” and so on. Saṅkhārā can also refer to mental states that we conjure up (or fabricate) in the mind, and which cause us suffering. So this sentence could also be: “All fabricated mental states [that cause suffering] pass away.” This is encouraging because it’s showing us that the mind is capable of being purified so that we can attain peace. This is probably not what the Buddha meant, but his words could, I think, be interpreted in that way. 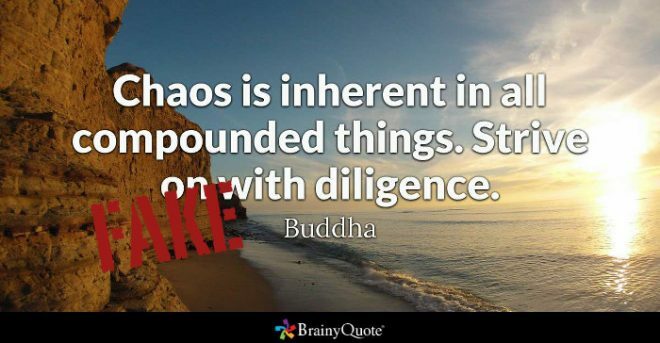 The translation “Chaos is inherent in all compounded things” is a bit odd—specifically that word “chaos,” which means “disorder and confusion.” Let’s come back to the quote at the end. Again we have a simple two-word sentence. The -ena ending indicates the instrumental case — “by means of” — so that the word appamādena means “by means of diligence” or “diligently.” It could also be translated as “with self-control.” Walsh’s translation “untiringly” is a very poor effort. There is no one word that can adequately translate appamādena. It’s the secondary meaning that’s important here. All of the translations above use “strive,” except for Thanissaro’s. He has “bring about completion,” which focuses more on the “accomplish one’s aim” part of the definition, but also ties in the primary sense of sampādetha, which is procuring or obtaining. Translating sampādetha as “strive” isn’t wrong, but it misses the element of the striving being directed toward a goal, which in the context of the Buddha’s final words is the goal of spiritual awakening. So the second sentence means something like “With diligent self-control, strive for the goal.” Bhikkhu Bodhi’s “Strive to attain the goal” captures this perfectly. Anyway, “chaos” just feels wrong. The Buddha said that things fall apart, not that they are chaotic. The “chaos” quote is the result of someone (almost certainly in the early 21st century) messing around with a more legitimate version. The earliest version I’ve found, which I think is the original, dates all the way back to 1881! It’s in Volume XI of the series “Sacred Books of the East,” (page 114) edited by F. Max Müller. The translation is by Thomas William Rhys Davids, founder of the Pali Text Society. Decay is inherent in all component things! Work out your salvation with diligence! Decay is inherent in all compounded things; strive on with vigilance. Decay is inherent in all compounded things. Work out your own salvation with diligence. The final mutation, by some as-yet unknown person, was to change “decay” to “chaos,” which is inaccurate enough that I feel OK about categorizing this one as fake. Volume XI of the series “Sacred Books of the East,” (page 114), edited by F. Max Müller. I’m pretty sure this one is a paraphrase of a passage in the Maha-Parinibbana Sutta, which is an account of the Buddha’s last days. The problem with the paraphrase is that it appears to be setting up a kind of “competitive practice” scenario, which sounds rather odd to my ear. The gods aren’t mentioned here, but I assume that divine worship is being implied. Heavenly songs are sung in the sky, in homage to the Tathagata. But it is not to this extent that a Tathagata is worshipped, honored, respected, venerated, or paid homage to. Rather, the monk, nun, male lay follower, or female lay follower who keeps practicing the Dhamma in accordance with the Dhamma, who keeps practicing masterfully, who lives in accordance with the Dhamma: that is the person who worships, honors, respects, venerates, & pays homage to the Tathagata with the highest homage. So the Buddha is saying, in effect, “Look, the gods are performing all these miracles in veneration of me, but if you really want to show me respect then practice my teachings. The original doesn’t equate practicing better with showing greater reverence, but contrasts worship with practice, implying that practice is true worship. 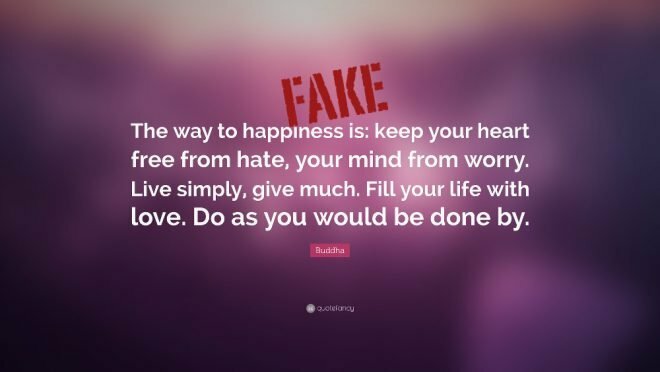 I was introduced to this particular Fake Buddha Quote by someone who wanted to show me their Buddha quote website. As is often the case, most of his quotes were fake. This one comes from Shantideva’s Bodhicaryavatara, or “Guide to the Bodhisattva’s Way of Life.” Shantideva was an 8th century Indian teacher who was a monk at Nalanda University. This work outlines a Mahayana concept of a compassionate path to awakening—one where your motivation for spiritual growth is not to benefit just yourself but all beings. There’s a lot of great stuff in the “Guide to the Bodhisattva’s Way of Life,” including some very practical reflections for developing patience. This particular quote is verse 10 from from Chapter 6. What reason is there to be upset? What use is there in being sad? If you have fear of some pain or suffering, you should examine whether there is anything you can do about it. If you can, there is no need to worry about it; if you cannot do anything, then there is also no need to worry.